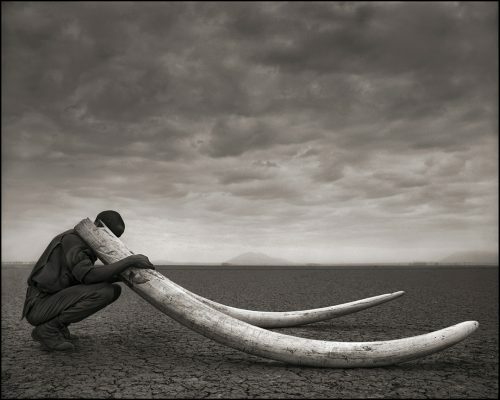 Many wonderful photographers have documented the African bush and its wildlife, but no one’s work, in my book, is as honest, as stunningly beautiful and as poignant as that of Nick Brandt. For many years, Nick has photographed exclusively on the African continent, particularly in East Africa’s Tanzania and Kenya. 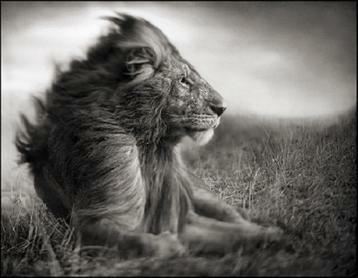 His mission has been to document the last wild animals and places before they are destroyed by man. His photos are essentially portraits, and because he does not use a telephoto lens, the images are beautifully scaled and intensely intimate. Brandt made, wrote and narrated two short films about the concept and production of Inherit The Dust. They are distressing but important to view.